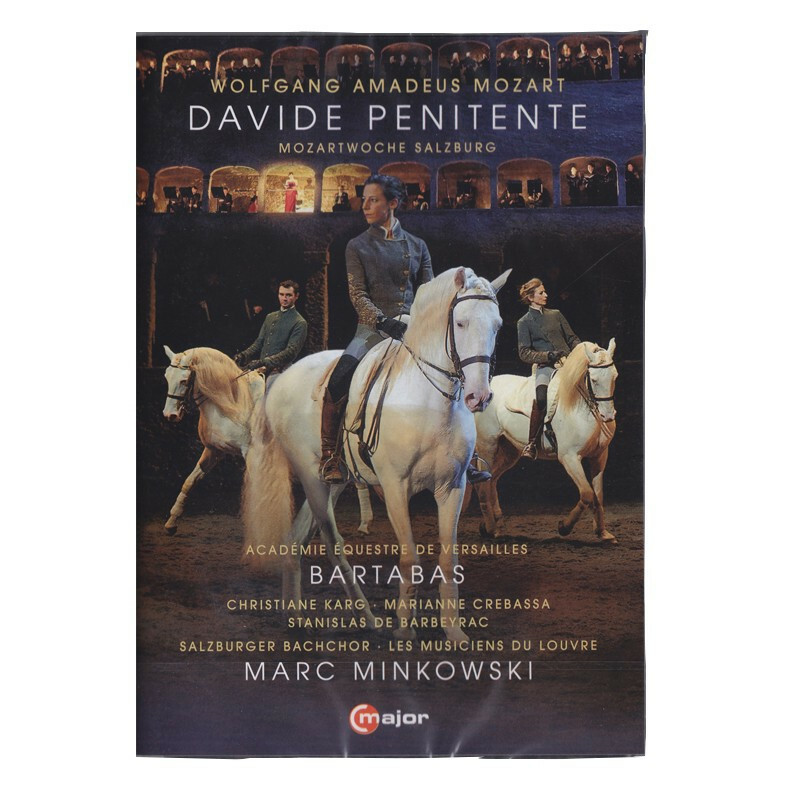 Accueil > Books>DVD "Davide Penitente"
It was the first time in centuries that horses had again performed in the Felsenreitschule, the legendary theatre hall in the Grand Festspielhaus in Salzburg. During the show, 11 dancing horses graced the stage of the arena dug into the Salzburg rock in the late 17th century. The riders performed to music by Mozart, superbly accompanied by singing and shown off at their best thanks to this unusual architecture. The work of the musical genius is certainly at home here and the equestrian performance by Bartabas makes for a truly magical show. Orchestration by the Conductor Marc Minkowski, Artistic Director of the Mozart Week festival with the Louvre Musicians and the Salzburger Bachchor. Written in January 2015 for the Mozart Week in Salzburg, Austria.